I have been actively practicing and teaching yoga, pranayamas (breathing) and meditation for the past twenty years. 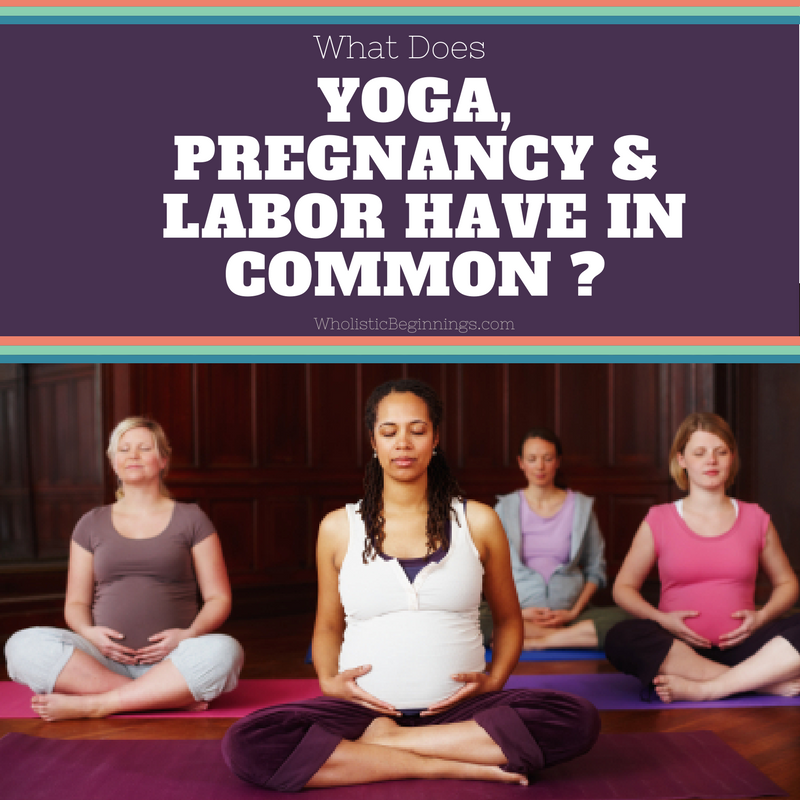 Believe it or not, yoga is very supportive of a mom’s sense of well-being and health during pregnancy. I have studied pregnancy and childbirth, have had the honor of being a husband to a wonderful woman and have watched her go through pregnancy and give birth to our beautiful daughter. I have also had the pleasure of observing many pregnant women throughout the years who have faithfully practiced yoga with me. What I have observed has been true for all of them. Pregnancy is really about dealing with altered states of the mind, body and spirit. A pregnant woman’s body blooms and changes. Her hormone levels flood her body and change throughout pregnancy and childbirth. Her emotional state changes easily, and what she thinks about changes too. It is not always easy to cope with all these changes. Some women go through it with ease while others experience the changes with great difficulty and can be very emotional about all of it. The baby growing in the uterus is physically and emotionally dependent on the mother. Her baby is made from what she eats and drinks. Her baby feels the emotional vibrations of her shifting emotions, and in order to have a healthy child, she must be healthy too. What does being healthy really mean? Ideally, it means that the mother is a whole being with a mind, body and spirit. It means that she is emotionally balanced, mentally stable and physically strong. Yoga is an excellent tool that can help any woman through pregnancy – it will help her feel more even-tempered, more energetic, having a pure, strong body and peace of mind. Often when people talk about yoga in the Western cultures, they think of the yoga as poses (asanas) like “downward dog”, “tree pose”, standing, restorative and many others. But the poses are only the tip of the iceberg. The most important part is the breathing. Why is the breath so important? To breathe is to be alive. Breathing is something we all do without thinking, all day and night, every minute, all throughout life. Breathing influences our emotional state. It’s true because our emotions directly affect our breathing rhythm. For example, when we are frightened, we breathe fast and shallow; when we are sad, we exhale longer; and when we are happy, we inhale deeper, pulling in lots of oxygen. But the key thing to remember is that while our emotions influence breathing, breathing can also influence our emotions! When you do yoga, your breathing should be stable and consistent. Your inhalation should be as long as your exhalation, with no interruptions, and it should just naturally flow with out being forced. It is important to keep your attention on your breath. Focused breathing helps you to be mindful and brings you into the here and now. It helps your mind be free of all that noise inside your head. Yes, of course your mind will want to have a conversation from time to time while you are practicing yoga, so you may lose your focus on breathing. But just bring your attention back to each breath, and your mind will get quiet again. The more you practice the better you get. To be at peace, to experience love and pure energy, you have to go beyond your thoughts. When you practice focused breathing, it brings you into the moment and helps you feel more alive. You will not worry so much about the future or regret past events. Your life is happening in the present moment, but unfortunately the mind is usually living in the past or the future. This makes your mind out of sync with your body. Yoga helps you be present. Wouldn’t it be nice to be in the present for 10 minutes, 30 minutes or an hour or two? What’s also important about the breath is that it brings in “prana”, which is the subtle life energy. The largest amount of prana is available by the ocean and in the woods. That is why you feel better when you are in the mountains, by the ocean, or just walking through the park. Most people are not aware of prana, but it is real! Yogi’s understand this and constantly manipulate the breath and are able to take enormous amounts of prana and oxygen into their bodies everyday. It’s as if they get an extra battery, so they are able to live life to the fullest and be energized. Now, lets talk about childbirth. Lots of women fear the pain of the contractions and the unknowns of childbirth. There are a lot of physical sensations that can be painful, but if a woman practices yoga and pranayama, her body will be full of prana and her contractions will be softer, her muscles will be stronger, more efficient and yet more relaxed and her pelvis will open easier. She will be less fearful, and when she is less fearful, she will experience less pain. Yoga helps release fear. During pregnancy if a mother is less fearful and full of love, that will benefit her unborn child. Love and energy is what her baby will be bathed in. This could be true for you and your baby! Pre-natal yoga focuses on asanas- positions- that are aimed to energize the whole body. If you have been practicing yoga for a long time, you can continue practicing how you have been practicing. However, eventually you will have to adjust your routine a bit. Your instructor can help you with that. Pranayama, the technique of breathing, can be extremely useful while pregnant. Those techniques too will need to be adjusted to benefit both mother and child. Meditation is the icing on the cake. The meditative state is the peaceful state of the mind and naturally comes from practicing yoga asanas and pranayama. Meditation can be practiced at anytime. During meditation the mind is still, quiet and relaxed, but still awake. Thoughts come and go, no attention is paid to them. This is a state of deep rest, much deeper than sleep. This peaceful rest is exactly what every pregnant woman needs. Including you! Practicing yoga (asanas), breathing (pranayama) and meditation will bring you to a state of consciousness that makes pregnancy, labor, and motherhood a complete expression of love and enjoyment. Fear is replaced with love and peace. An open heart brings joy in life. That kind of heart brings light to everything and everyone around it. This is exactly what a mother and baby need. Joy, Love and Peace! Tonchi lives in Split, Croatia with his beautiful wife and daughter. He has been teaching Yoga for over 20 years.